Afilias has sued the Indian government to prevent it awarding the .in ccTLD back-end registry contract to fierce rival Neustar. The news emerged in local reports over the weekend and appears to be corroborated by published court documents. According to Moneycontrol, the National Internet Exchange of India plans to award the technical service provider contract to Neustar, after over a decade under Afilias, but Afilias wants the deal blocked. The contract would also include some 15 current internationalized domain name ccTLDs, with another seven on the way, in addition to .in. That’s something Afilias reckons Neustar is not technically capable of, according to reports. Afilias’ lawsuit reportedly alleges that Neustar “has no experience or technical capability to manage and support IDNs in Indian languages and scripts and neither does it claim to have prior experience in Indian languages”. Neustar runs plenty of IDN TLDs for its dot-brand customers, but none of them appear to be in Indian scripts. NIXI’s February request for proposals (pdf) contains the requirement: “Support of IDN TLDs in all twenty two scheduled Indian languages and Indian scripts”. I suppose it’s debatable what this means. Actual, hands-on, operational experience running Indian-script TLDs at scale would be a hell of a requirement to put in an RFP, essentially locking Afilias into the contract for years to come. Only Verisign and Public Interest Registry currently run delegated gTLDs that use officially recognized Indian scripts, according to my database. And those TLDs — such as Verisign’s .कॉम (the Devanagari .com) — are basically unused. Neither Neustar nor Afilias have responded to DI’s requests for comment today. .in has over 2.2 million domains under management, according to NIXI. 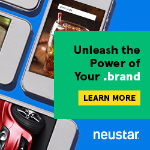 Neustar’s Indian subsidiary undercut its rival with a $0.70 per-domain-year offer, $0.40 cheaper than Afilias’ $1.10, according to Moneycontrol. That would make the deal worth north of $12 million over five years for Afilias and over $7.7 million for Neustar. One can’t help but be reminded of the two companies’ battle over Australia’s .au, which Afilias sneaked out from under long-time incumbent Neustar late last year. That handover, the largest in DNS history, was completed relatively smoothly a couple months ago. Switching .au’s back-end to Afilias will cut auDA’s per-domain costs by more than half, but registrants are not likely to benefit from the full impact of the savings. auDA’s Bruce Tonkin, who led the committee that selected Afilias to replace incumbent Neustar, told DI this week that the organization is likely to take a bigger cut of .au registration fees in future, in order to invest in marketing. That would include marketing the ability of Aussies to register .au domains at the second level for the first time — a controversial, yet-to-roll-out proposal. Tonkin confirmed that the back-end fee auDA will be paying Afilias is less than half of what it is currently paying Neustar — the unconfirmed rumor is that it’s 40% of the current rate — but said that Afilias was not the cheapest of the nine bidders. While .au names are sold for a minimum of two years, the current wholesale price charged to registrars works out to AUD 8.75 ($6.85) per year, of which Neustar gets AUD 6.33; auDA receives the other AUD 2.42. A back-end fee of roughly $5 (US) per domain per year is well above market rates, so it’s pretty clear why auDA chose to open the contract to competition. We first considered scoring without price, and Afilias received the highest score for non-financial criteria. We then considered pricing information to form an assessment of value for money. The average pricing across the 9 [Request For Tender] responses was less than half of the present registry back-end fee ($6.33). Afilias was close to the average pricing, and while it was not the cheapest price — it was considered best value for money when taking into account the highest score in non-financial criteria. Afilias believes auDA chose us based on the best overall value for the Australian internet community. The evaluation heavily weighted expertise, quality and breadth of service over price. While we don’t know what others bid, Afilias works to be competitive in today’s market. Attempts to price significantly higher than market without a value proposition are unrealistic and could even be considered price gouging. It’s not known what price Neustar bid for the continuation of the contract, but I expect it will have also offered a deep discount to its current rate. By switching, auDA is basically going to be saving itself over AUD 3 per domain per year, which works out to a total of AUD 9 million ($7 million) per year at least. But the organization has yet to decide how much of that money, if any, to pass on to its registrars and ultimately registrants. The auDA board of directors will meet in March to discuss this, Tonkin (who is in charge of the registry transition project but not on the board) said. “We don’t want to set expectations that the wholesale price is going to change massively,” he said. “I don’t expect it’s going to be any higher than the current wholesale price,” he said. But he said he expects auDA to increase its slice of the pie in order to raise more money for marketing. The organization does “basically no marketing” now, he said. This would include marketing direct second-level registrations, an incoming change to how .au names are sold that has domain investors worried about confusion and market dilution. Outrage over the 2LD proposal — it appears to be a done deal, even if the details and timeline have yet to be finalized — has started attracting the attention of business media in Australia recently. But auDA’s own research shows that opposition is not that substantial outside of these “special interests”. A survey last year showed that 40% of .com.au registrants “support” or “strongly support” the direct registration proposal, with 18% “opposed” or “strongly opposed” Another 42% were completely unaware of the changes. Support among .org.au registrants was lower, and it was higher among .net.au registrants. But 36% of “special interests” — which appears to mean people who discovered the survey due to their close involvement in the domain industry — were opposed to the plan. There’s no current timeline for the introduction of direct registrations, but the back-end handover from Neustar to Afilias is set to happen July 1 this year. Neustar acquired AusRegistry, which has been running .au since 2002, for $87 million a couple of years ago. Afilias has been awarded the contract to run .au, Australia’s ccTLD, kicking out incumbent Neustar after 15 years. It’s currently a 3.1 million-domain contract, meaning it’s going to be the largest back-end transition in the history of the DNS. It’s also very likely going to see the price of a .au domain come down. Neustar, via its 2015 acquisition of AusRegistry, has been the back-end provider for .au since 2002. That deal is now set to end July 1, 2018.
auDA, the ccTLD manager, said today that Afilias was selected from a shortlist of three bidders, themselves whittled down from the initial pool of nine. It’s not been disclosed by auDA who the other shortlisted bidders were, and Afilias execs said they do not know either. I suspect Neustar would have been one of them. The contract was put up for bidding in May, after auDA and Neustar failed to come to terms on a renewal. At 3.1 million domains under management, .au is currently bigger than .org was when Afilias took over the back-end from Verisign in 2003. Back then, .org was at 2.7 million names. It’s now at over 10 million. “It’s the biggest transition ever, but not by much,” Afilias chief marketing officer Roland LaPlante said. CTO Ram Mohan said that it should actually be easily than the .org transition, which had the added wrinkle of switching registrars from Verisign’s legacy RPP protocol to the now-standard EPP. auDA said that Afilias will start reaching out to the 40-odd current .au registrars about the transition “as early as this week”. About half of registrars are already on Afilias’ back-end and about half are ICANN-accredited, LaPlante said. There will be a live test environment for registrars to integrate with prior to the formal handover, he said. There are several local presence requirements to the contract, so Afilias will open up a 20-person office in Melbourne headed by current VP of corporate services John Kane, who will shortly move there. The company will also have to open a data center there, as the contract requires all data to be stored in-country. Mohan, LaPlante and Kane said they’re all jumping on planes to Melbourne tonight to begin transition talks with local interested parties. Financial terms of the deal are not being disclosed right now, but LaPlante said that .au registrars should see prices come down. This could lead to lower prices for registrants. They currently pay AUD 17.50 ($13.44) per domain for a two-year registration, and I believe Neustar’s cut is currently around the $5 (USD) per year mark. Afilias is not known for being a budget-end back-end provider, but it seems its slice of the pie will be smaller than Neustar’s. LaPlante said that fees charged to registrars will be set by auDA, but that it now has flexibility to reduce prices that it did not have under the incumbent. “Some savings should flow down to registrars as part of this,” he said. The term of the contract is “four or five years” with options to renew for additional years, he said. The loss of .au has no doubt come as a blow to Neustar, which paid $87 million for AusRegistry parent Bombrra just two years ago. While Bombora also had dozens of new gTLD clients, many dot-brands, .au was undoubtedly its key customer. auDA has formally launched the process that will could see it replace .au back-end provider Neustar with an in-house registry by the end of June 2018. The Australian ccTLD operator has opened a “Request for Expressions of Interest” as the first stage of a procurement process for software and/or services to support its recently announced Registry Transformation Project. It’s looking for companies that can provide all the major pieces of a domain name registry — EPP registry, Whois, DNS, etc — and my reading of the REOI reveals a preference towards a system owned and operated by auDA. Respondents can respond with products, technology and / or services for all or part of the elements of the Registry Transformation Project, and are free to partner with other respondents to put together combined proposals. auDA intends to establish a dedicated .au registry, and have all arrangements in place to support this, by 30 June 2018. 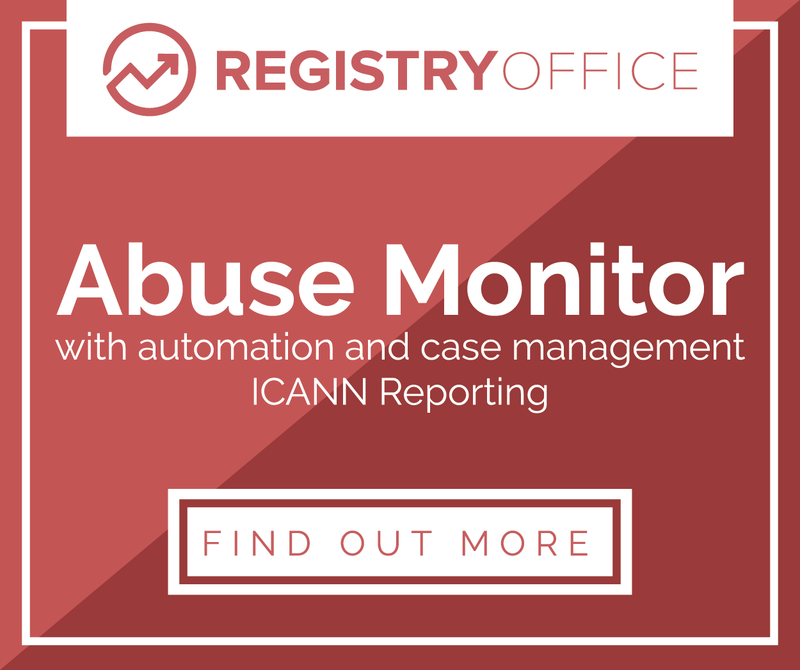 The organization even talks about eventually becoming one of ICANN’s approved Emergency Back-End Registry Operators. .au has grown to over 3 million domains over the 15 years it was being managed by AusRegistry, which was acquired by US-based Neustar in 2015. This deal is due to expire next year. So it’s a big contract, and one that is likely to attract a lot of interest from players big and small. That said, registry solutions are typically offered very much on a service basis. The market for licensed registry software is not exactly bustling, and auDA also requires source code access as a condition of any deal. auDA said the deadline for responses to the REOI is June 26. It will decide upon its next steps, which could be a formal request for proposals, in the last week of July. Donuts has renewed its back-end registry services contract with Rightside, Rightside has announced. That’s despite indications a few months ago that it might have been preparing for a switch to Google’s new Nomulus platform. Rightside said yesterday that the deal, which has seen Rightside handle the registry for Donuts’ portfolio of almost 200 gTLDs for the last five years, has been extended. It’s a “multi-year” deal, but the length of the extension has not been revealed. Donuts had suggested last October that it might be ready to move to Nomulus instead. The company revealed then that it had been quietly working with Google for 20 months on the software, which uses Google’s cloud services and is priced based on resource usage. Now-CEO Bruce Jaffe said yesterday that “Rightside’s registry platform has the right combination of innovative features, ease-of-operation, scalability, and highly responsive customer support”.